A memoir and scathing indictment of sexism and sexual abuse in Hollywood, from actress and activist Rose McGowan. McGowan’s book will not be the best book about the Weinstein scandal, but it may be the most visceral. Anger burns from every page ... But the problem with burning everything down is that it all becomes an indistinguishable pile of ash. The misogyny of gossip blogger Perez Hilton is a worthy target for McGowan; that actors occasionally have to perform wedding scenes is not ... This reads like a book written by a woman driven to near derangement by decades of abuse and gaslighting. At times I wished McGowan could filter her anger, highlighting the real abuses as opposed to folding them in among the generalised sexist garbage. But if she had been able do that she probably wouldn’t have written this book: self-control isn’t helpful when you are kicking down doors. McGowan set out to write a book that examines abuse, and she has done just that. She has also, inadvertently, shown how much damage abuse can wreak in even the toughest of women. Much of Brave reads like the diary of a woman driven half-mad by abusive men who assume no one will listen to her ... This bitter history clearly left a mark, and her book is furious and profane, wild and a little unhinged...There’s no glamour in Brave, and very little joy; I’ve never read anything that makes being a starlet sound so tedious and demeaning ... 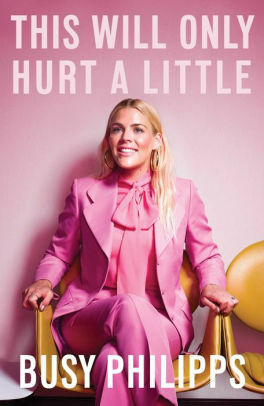 Her sense of martyrdom can be a bit much; she writes of feeling 'robbed' by having to get married on TV before her real wedding ... For most adult readers, it won’t be much of a revelation that Hollywood trades in distortion and exploitation. But I hope Brave finds its way into the hands of teenage girls who may still look to actresses as they try to figure out how they’re supposed to be in the world, girls who aspire to the life McGowan once had. Brave may not reflect these broader conversations, but it is a valuable and damning insider view of an industry that has violated women for way too long ... 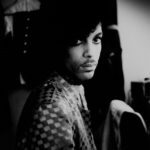 Although there are enough shocking details to satisfy the gossip-hungry, the book transcends the typical celebrity tell-all. 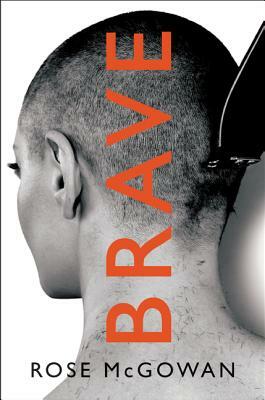 It is a Hollywood takedown ... Brave is written with a crackling intensity that indirectly demands readers examine their own complicity and media consumption ... Although Brave is framed as a call to arms, when McGowan directly addresses readers with her manifesto the message feels superfluous. Brave’s real power is the shouting voice of a woman whose stories have been silenced for way too long.